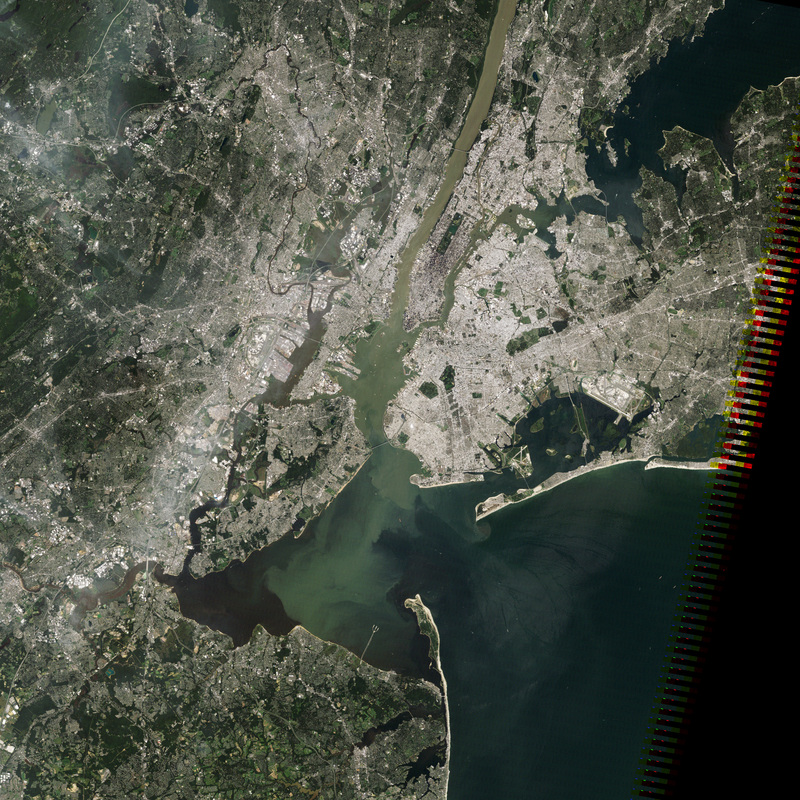 In this true-color, NASA satellite image, sediment plumes -- the pale green and tan water flowing past Manhattan -- mix with the darker waters of New York Harbor and the Atlantic Ocean. A new study in Environmental Engineering Science by Beacon Institute's River and Estuary Observatory Network (REON) team documents the effects of Hurricane Irene on the Hudson River and estuary. Data reveal a storm event so powerful it overwhelmed the ocean's tidal influence on the estuary, and moved much of a year's worth of sediments, and their related contaminants, downriver. Threats of increased and more severe storm events due to climate change make the clear case for a regular monitoring presence like REON.